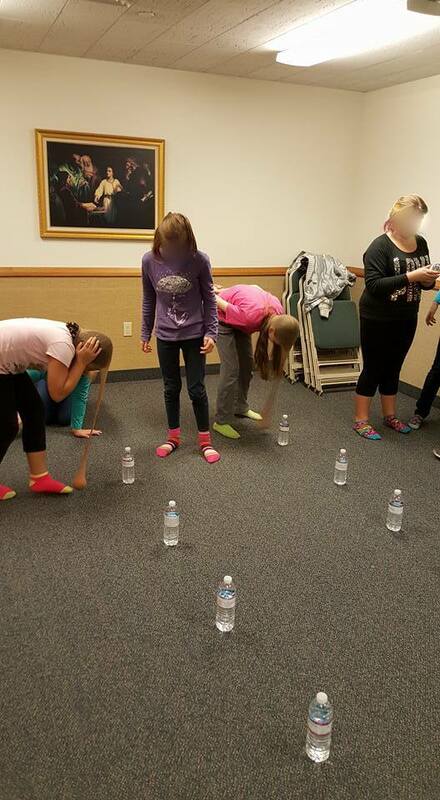 Bottle Bowling for Faith – LDS Activity Days Ideas! Thanks to Alicia for this excellent idea! Cut out the Articles of Faith and tape one to each water bottle. Set the bottles up in random order in a loose circle, line, or grouping for each team – the important thing is that each team can tell which bottles are theirs, and which are for another team. Put the ball (or heavy object) into a toe of each nylon. You may want to “test” the setup before starting. If your object isn’t heavy enough to knock the water bottle over, let out some of the water to make the bottle lighter. Each round one team member puts the nylons on their head, and tries to knock over their row of water bottles one at a time with the ball in the toe of the nylons. 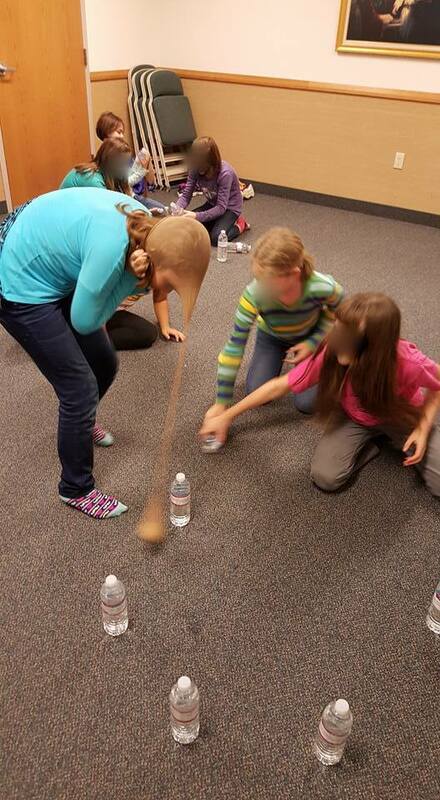 They may not use any other object or part of their body to knock over the water bottle! Once all their water bottles have been knocked over, they can try to put the articles in order. The first team to put them in order wins the round! Set up the bottles again to play another round.